IMAC brings us 108341/721413 SAVANA MULE a colourful summer sandal that is ideal for wearing everyday in warm weather or when away on holiday. The upper is made from leather with a stylish multi-coloured floral mosaic print. 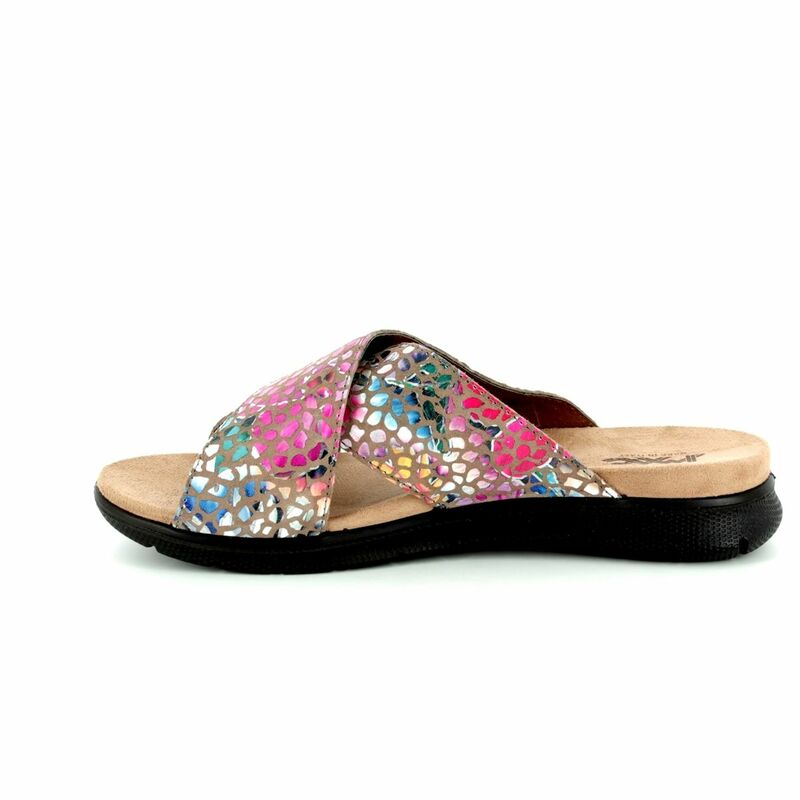 Each pair is unique as the straps are cut from the leather with the print already applied from so no one will have exactly the same pattern on their sandals as you! The cushioned footbed is covered with a soft suede for comfort next to your skin. The sole is made super light PU which is also flexible to reduce foot fatigue and ensure your comfort while wearing. Buy your IMAC women's sandals from Begg Shoes, an official IMAC stockist.